Invisio Communications AB (publ.) was founded in 1999 in Copenhagen, Denmark, where they have their headquarters. They are listed on Small Cap, NASDAQ OMX Stockholm. They develop, manufacture, market, and sell their own communication solutions – an advanced two-way radio headset, and its varieties. The in-ear earplug has a built-in microphone which picks up the sound waves that are generated from you talk, through your jawbone. This way, the radio transmits nothing but your own talk. No noises from your environment is picked up. The receiver will not hear the massive grumbling engine by your side or the explosions taking place just around the corner. This makes the product especially useful for the military, fire department, and other professions where radio communication is needed in a noisy environment. Another unique selling point is their Advanced Hearing Protection Systems combined with Hear-Thru. The in-ear plugs function as hearing protection by keeping very loud sudden noises and loud continuous noises away. The hear-thru consist of microphones on the outside of the headset, delivering natural situational awareness. Natural, in the sense of being able to detect the direction from where the sounds are coming from. Photo courtesy of Invisio. 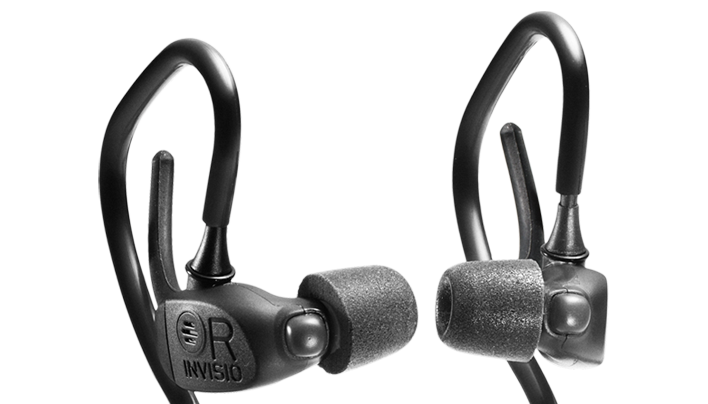 Image shows Invisio X5 – Dual in-ear hearing protection headset with full situational awareness. Invisio’s sales is gaining positive momentum. Their largest customer is the U.S. Military with their TCAPS-program (Tactical Communications And Protective System). Amounts in thousands SEK. Estimates are my own. Other large customers are an undisclosed number on NATO-countries, Canadian Department of National Defense, undisclosed customer in Australia, and the Finnish Armed Forces. But will the armies continue to buy this type of product? Most likely, as the U.S. Department of Defense’s Hearing Center of Excellence states how the Department of Veterans Affairs (VA) estimated the compensations for major auditory disabilities in FY2010 to be $1,39 billion. That is for just one year. They also expect the compensation to increase to over $2,26 billion by 2014. The same source states a few examples of noisy everyday happenings for military personnel. The Department of Defense’s quietest weapon is the M-16, which measures around 156 dB when it fires. They say exposure to sounds above 160 dB or higher can cause immediate physical damage to one’s ears. They state how spending several hours in a helicopter’s cockpit that measures to 85 dB can cause gradual hearing loss. 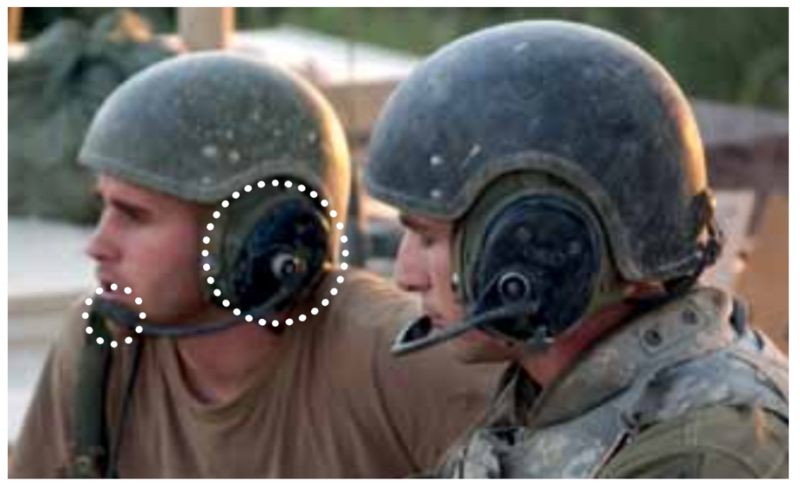 Also, soldiers tend to skip using their traditional hearing protection gear as they feel they loose their ability to interpret their surroundings (Invisio Annual Report 2014). Photo courtesy of Invisio Annual Report 2010. The image shows a traditional circumaural headset. Invisio estimates that 90% of the present global market is dominated by traditional circumaural head-sets, which are shown above. Among the competitors you find the following companies: Peltor (part of 3M), MSA Sordin, Selex Communications, Racal Acoustics (part of Esterline), Honeywell Safety, Thales Group, Phonak, and Silynx Communications. None of them are close of having an identical product to Invisio. These facts gives Invisio a good head start. Invisio’s Bone Conduction patent expired in Europe and Singapore in 2013 and the U.S. in 2014. Thus, we can expect Invisio to keep growing their business for another couple of years before the competitors start to release their own versions with jaw bone conduction-technology. Invisio themselves state how the influx of orders can fluctuate between quarters due to long decision processes for these products. This means there can come a quarter with less than the usual amount of orders, and vice versa. According to KFOR-TV in Oklahoma, USA, scientists are working on a pill which can reduce the hearing loss after having been exposed to extremely loud noise, if the pill is taken within 12 hours after the noise exposure. Dr. Kopke in the article, believes the pill might hit the market before 2019. This DCF is somewhat conservative. It projects five years with 10-30% sales growth and then continues with 2% eternal growth. Invisio is a BUY with a target price of 35,12 SEK. Today’s closing price was 26,30 SEK (July 6th, 2015). The company still has a unique product which many military powers want and need in order to mitigate their costs for hearing loss compensation. No real competing product seem to be in sight yet for at least a few years. The company showed its first profitable year in 2014 and is projected to grow its profits for all the coming years. Following last week’s tumble in the Ekso Bionics stock, it turned out to have been subject for a short and distort-case by The Pump Stopper who published a vicious case against Ekso on the webpage Seeking Alpha. In an article by Keith Fitz-Gerald’s, a frequent guest on CNBC and Fox Business according to his website, he lays down the bullet points of how to spot a ”short and distort” case as it shows up. It’s a good article so I recommend you to read it. There are at least three listed p2p lending companies where Trustbuddy is from Sweden and LendingClub together with On Deck Capital Inc. is from the U.S. They are interesting because they are among the first listed p2p lending companies in the world. 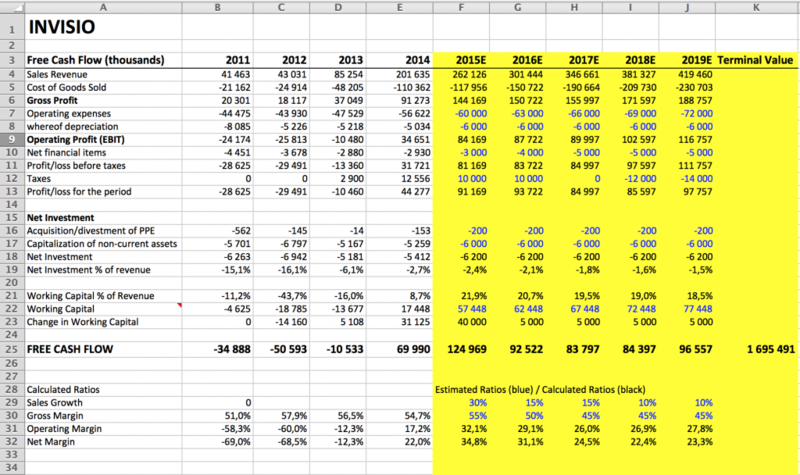 Let’s take a closer look at them and my analysis of their key ratios which I have calculated based on their 2014 annual report. TBDY Market Cap is 14 MUSD, ONDK is 1,06 BUSD, and LC is 7,15 BUSD. TBDY is trading around 7 times book value, ONDK around 3 times, and LC around 7 times, not too close liquidation value. This indicates they are not too close to actually close shop. None of the three are currently paying any dividends so no Dividend Payout Ratio is available. All three currently have negative EPS, indicating they are either not succeeding with their business or they are focused on growth. TBDY was founded 2009 and listed 2011, ONDK was founded 2006 and listed in 2014, and LC was founded 2007 and listed 2014. As they are all relatively new I consider them all to be growing companies. This time I haven’t looked into historical figures which could indicate a pattern or direction for the EPS-figures. The Gross Profit Margins show they all seem to have sound businesses. The business is scalable as it is easy to expand the amount of brokered loans once the infrastructure is in place, and thus, we could expect a better margin by the larger companies ONDK and LC compared to TBDY. However, in this case TBDY has the best Margin. They might have different priorities when it comes to growth speed. The P/E-ratios are negative for all three and that ratio is therefore disregarded here at this time. All three have negative profit margins which is comprehensible as they are all young companies, still fighting to gain market shares in this relatively new market. In this case, it is more interesting to see for how long they can manage to survive with these negative margins before they run out of cash and need more life sustaining injections, which can be determined by the ROE, Debt-ratio, ACID-test ratio, and Interest Coverage Ratio. All three companies have Debt-ratios below 1 which is relatively healthy whereas the Debt/Equity-ratios are noticeably higher for TBDY, meaning they use more debt than the others to finance their operations or expansion which widens both the possible upside and downside for TBDY compared to the other two. On the other hand, they all have positive Acid Test-ratios, signaling they can all cover their short-term debt with their current assets, even TBDY. All Interest Coverage Ratios are below 1, telling us they are still in need of external funds in order to sustain their expansion, which is normal during heavy growth phases. In the PEG-ratio above I have used an arbitrary growth number of 25% on all three companies. All three firms’ P/E-ratios are negative which leaves the PEG-ratios unusable at this time due to the fact that it is not possible to factor in growth on negative earnings. Now, here we are starting to see some real differences between the companies. The market is valuing each $1 in revenue by LC to $34, meaning 34 times the dollar. For ONDK the same ratio is over 6 times, whereas for TBDY the market values it slightly over 1. In case these companies are ”equally good” on all other levels, this means TBDY is way undervalued compared to the other two. On the other hand, LC could be way overvalued by the market compared to the other two, or else, the market believes LC will succeed much better than the other two. All three companies are young and growing, still fighting for market shares. LendingClub has the highest market valuation among the three, although the reason why cannot be derived from this key ratio analysis. Trustbuddy has the lowest valuation amongst them, it’s not clear why, but having the highest Debt/Equity-ratio could be part of the reason. Depending on your own view of the p2p lending market, Trustbuddy is the up and coming player who is currently undervalued and will catch up with the other two, and thus a BUY recommendation. If you have negative outlook for the p2p lending market in general, you might wanna consider shorting/selling your LendingClub shares.